We Offer our clients 24/7 support, minus the back-and-forth, with our client hub self-serve, online experience. With our Client Hub this allows our clients to log in securely to an interface to view their quotes and invoices online. How does logging into the Client Hub work? Jobber uses a modern secure email-based authentication that does not require a password. Clients will access their account all through their email. So as long as they have access to their email account, they have access to their Client Hub account. How do i log into the Client Hub? all Clients will have a number of different ways that they can access the Client Hub. 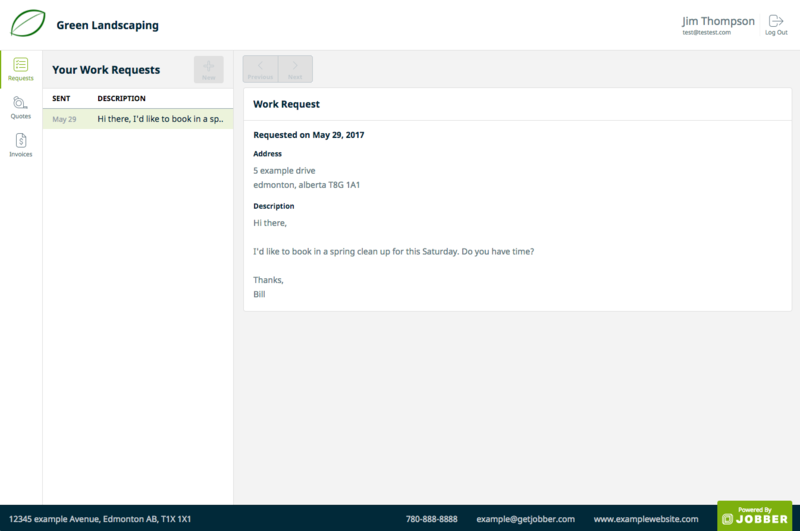 If we email you an invoice or a quote, that email will now contain a link that will securely log them into the Client Hub. What does Client Hub look like? Quotes Awaiting Response and Converted will show up in the Client Hub for you to access. Draft and Archived quotes are not visible to your clients. They can also print off or download a copy of their quote or payment receipt. The print button is in the top right of the Quote. Only Invoices that we have sent to you will show up here. 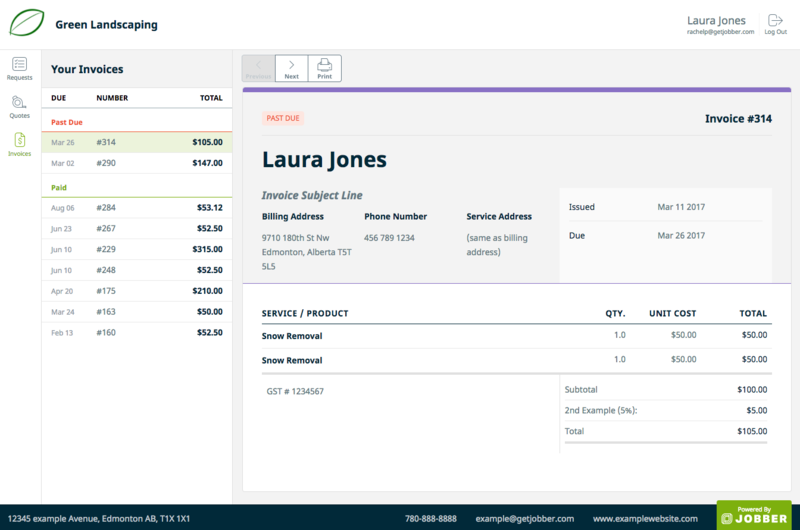 Sent, Awaiting Payment, Paid and Past Due invoices will appear for you here. You can also print off or download a copy of past invoices and payment receipts. You can also request work through our Client Hub. This is essentially a simple request form that you can fill out and it will appear in your account.